Olympus Family Medicine has been a proud part of the Frisco community since September 2006. 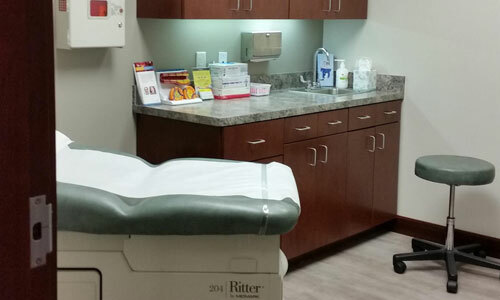 Our mission is to provide quality comprehensive healthcare to patients ages 5 and up. Whether you’re a seasoned athlete, someone with multiple healthcare concerns, or still learning your ABC’s, we can take care of you. Save 20% when you order from our Metagenics store online. (Discount given in cart.) Try them and let us know what you think. Many HMO plans automatically assign a PCP to their members, however, you can elect another participating provider. If you have an HMO plan, please elect one of our providers, Dr. Scott Neumann or Dr. Edward Lin, as your PCP before your appointment; otherwise, we will not be able to see you. At Olympus Family Medicine, your family’s health is our priority. Come to us and you can rest assured knowing that you and your family will receive quality and compassionate care. Whether you or a family member is suffering from an ailment or you simply want to achieve general wellness to prevent illnesses, you are welcome in our clinic. If you have inquiries or want to schedule an appointment with our providers, please feel free to give us a call 972-377-0322. Please download and complete the Patient Information Update Packet at home and bring it in to your next appointment.